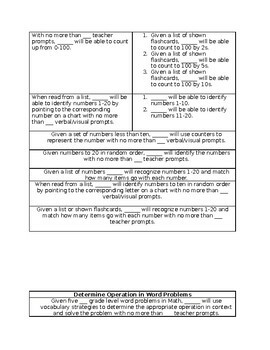 This is an elementary school IEP objective bank for math skills. 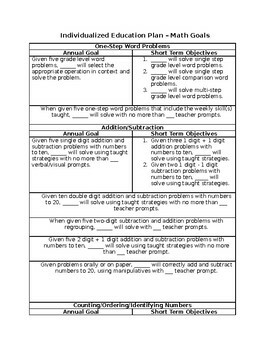 Depending on the student's ability level, these goals can be used across all grade levels. While it is designed specifically for students with IEPs receiving special education services, the objectives could also be applied for students receiving intervention support. There are over 15 goals included. Product can be edited.